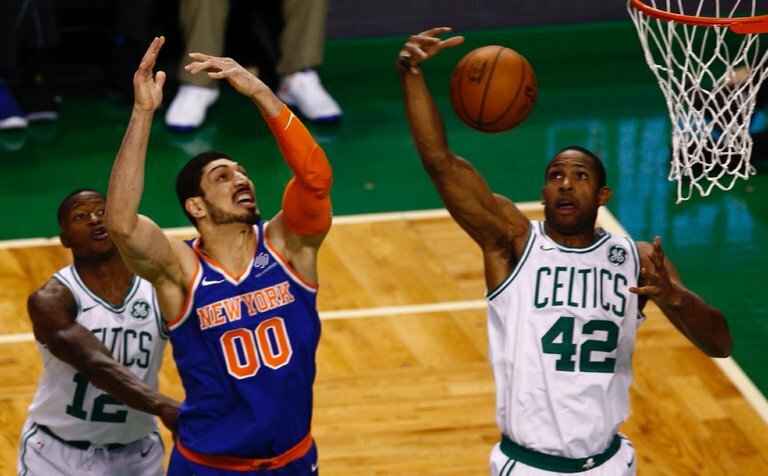 The Celtics’ Al Horford, right, grabbed a rebound off a shot by the Knicks’ Enes Kanter during the first quarter Wednesday night. Terry Rozier, defending at left, had a triple-double in his first N.B.A. start. BOSTON — Terry Rozier filled in nicely for Kyrie Irving, logging his first career triple-double in his first N.B.A. start to lead the Boston Celtics to a 103-73 victory over the Knicks on Wednesday night at TD Garden. Rozier collected 17 points, 11 rebounds and 10 assists to become just the second player in N.B.A. history to record a triple-double in his first start, joining Tony Wroten for Philadelphia on Nov. 13, 2013, according to Elias Sports Bureau. Irving was sidelined by a right quadriceps contusion after being injured during Monday’s victory in Denver. Marcus Morris scored 21 points for Boston, and Jayson Tatum had 15. Al Horford and Jaylen Brown each added 14. U.S. Is Hosting Mexico Again? Road Trip to Columbus!